A few weeks ago, Lo and I put on a Sweet 16 Luau Party for Berkeley and Lexi (see deets here and here). 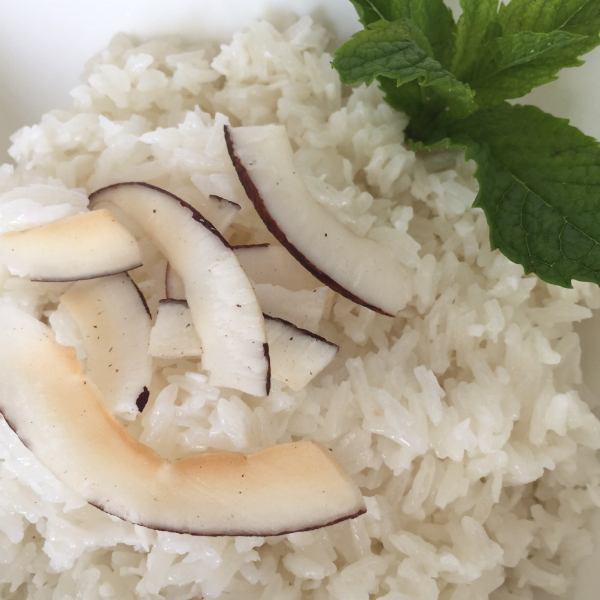 One of the side dishes I made to go along with the roasted pig was coconut rice. It was a super easy recipe that I found on Half Baked Harvest. It was a huge hit and I just made it again the other night as a side for barbecued chicken. 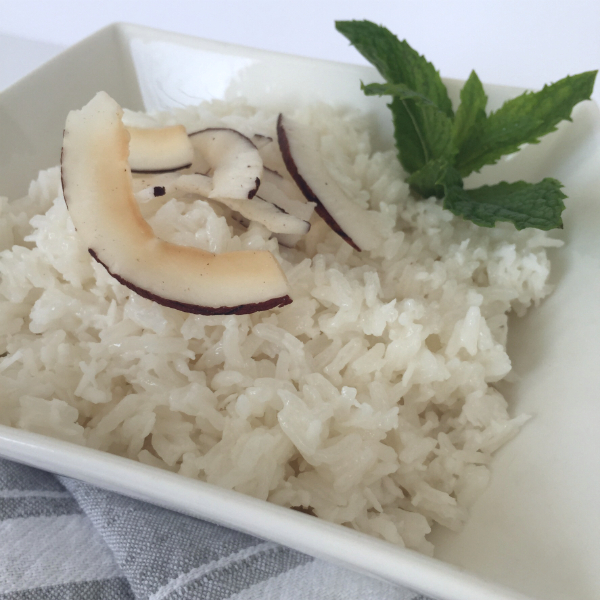 You don’t often think of serving rice in the summer, but with the addition of coconut, it tastes tropical and fresh. It’s a great side dish for barbecued meats, Thai dishes and stir fries. It would also be pair perfectly with any dishes that have mango salsa, like chicken or salmon. 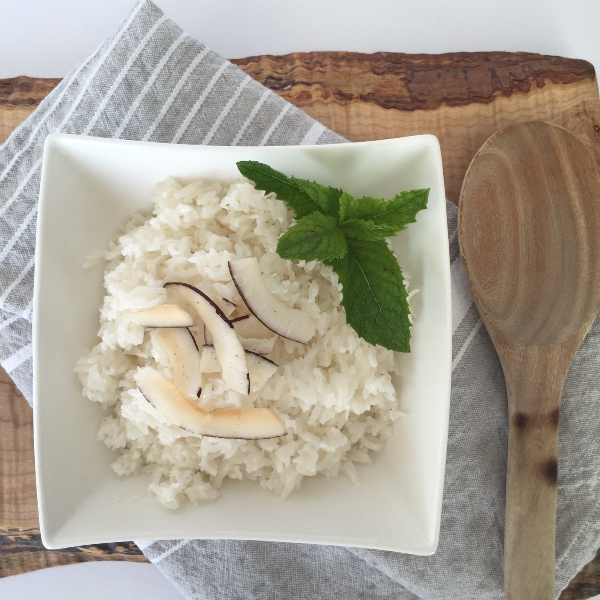 In a medium pot, combine coconut milk and coconut water and bring to a low boil. Add rice, salt, unsweetened coconut, and coconut oil and stir. Place lid on pot and turn heat to lowest setting. Allow rice to cook for 10 minutes. Turn heat off completely and let rice sit on stove another 20 minutes. Keep covered and do not peek! 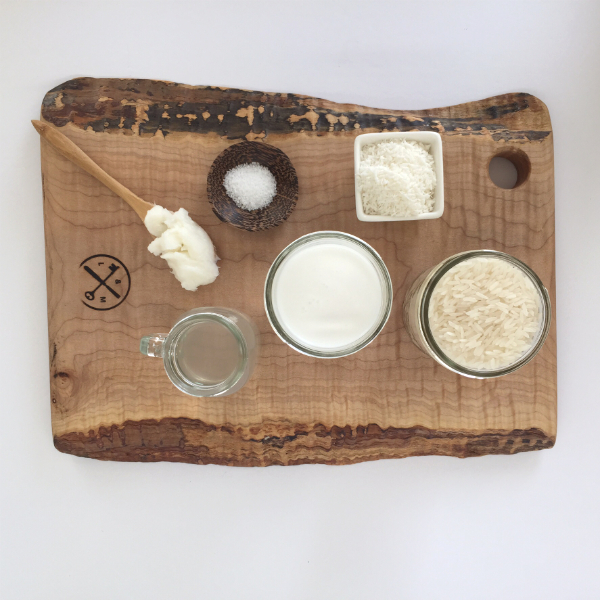 Yes, the recipe has a lot of different coconut ingredients, but trust me, it’s not overkill. It is really has a nice, light flavor. If you are hosting a larger crowd, it totally works to triple the recipe. If you need much more than that, I would make it in two separate pots.